Anyone who has been a regular reader of this blog will know what my favourite drink is. Yes, you at the back? No, not whisky. Although that’s a close second. Anyone? That's right. Coffee. I love a decent cup of coffee. So you can imagine my delight when I was recently presented with a £30 card for Barstucks. I was, to put it mildly, highly chuffed. Now, on this card was a small sticker which instructed me to register my card by going to said coffee shop's web site and logging in my details. No problem, thinks I. I've had Barstucks cards in the past so it would just be a case of signing in and adding the new card's number. Wouldn't it? No it wouldn't. The first problem occurred when I tried to log in. For some strange reason my password wasn't recognised. Why not? No reason was given. I then went through the rigmarole of having to put in a new password. This I did. Or at least, I thought I had. Wrong. Apparently, my password wasn't secure enough. Sorry pardon excuse me? I am trying to register a card so that I can buy a cup of coffee; I am not logging into on-line banking... I just want a cup of fn coffee. So I had to come up with a stronger password. Eventually, I came up with something that would baffle Alan Turing himself and it was accepted. Blimey! What a palava! Right, that done, all I had to do was enter my new card's details. Wrong. When I tried to enter a new card, the Barstucks Fort Knox security came into play once again and took me right back to the beginning of the login process and wanted me to start all over again as a new customer. Luckily, the tablet I was using while attempting to break into the Barstucks security system has a fairly substantial protective case, otherwise it might have suffered serious damage when it landed having been hurled from one end of my living room to the other. I only want a cup of coffee for fu... goodness’ sake! Tomorrow, I intend taking my gift to my local Barstucks and very politely asking them to... f***ing well sort it out! Were any famous or notorious people born on the 2nd of June? Of course, here are some I’ve even heard of. Marquis de Sade 1740 (French nobleman whose name has been used to describe some right old peculiar goings on), Thomas Hardy 1840 (Orfer. Wrote some famous books, he did... Far from the Maddening Crowd, The Mayor of Castor Oil, Judy Hob Skewer, Tess of the Dobermans... loads of them. ), Edward Elgar 1857 (Composer. Here’s this week’s first clip, the beautiful 'Nimrod'. ), Johnny Weissmuller 1904 (Swimmer turned actor. Played Tarzan. Erm... That’s it. ), Johnny Speight 1920 (Comedy scriptwriter. Created the brilliant Till Death Us Do Part as well as the dreadful Curry & Chips. ), Carmen Silvera 1922 (Ectress. ), Milo O’Shea 1926 (Oirish actor. Played Duran Duran, you know. [So did I; I’ve got all their records. - Ed. ]), Sally Kellerman 1937 (Actress. Hot Lips Houlihan that was her), Jimmy Jones 1937 (Singer/songwriter. Another clip? Here’s Handy Man. What shocking miming. Nice car though), Constantine II of Greece 1940 (The well-known king. ), Stacy Keach 1941 (Actor. Howard K. Duff VIII. ), Charlie Watts 1941 (A rolling stone. A clip is required, methinks. Here’s Jack Flash jumping about. One to appeal to drumming afficianados [What? The pears? - Ed. ]), Marvin Hamlisch 1944 (Composer. Another clip? He wrote many film scores in a long career, but this was his first success, a hit for Lesley Gore. ), Heather Couper 1949 (Astronomer. ), Arnold Muhren 1951 (Voetballer. ), Craig Stadler 1953 (Golfy bloke. ), Dana Carvey 1955 (Comedian. Played Garth in Wayne’s World. Erm... That’s it. ), Michael Steele 1955 (A Bangle. Another clip? Here’s Following. Unusually, it features Steele on lead vocal duty. ), Jan Lammers 1956 (Racey car drivery bloke. ), Mark Lawrenson 1957 (Footy bloke. ), Tony Hadley 1960 (A bit of Spandau Ballet. Time for just one more clip? Why not. Here’s a toon that was reworked for Louis Moult when he scored for the ’Well... Gold. ), Mark and Steve Waugh 1965 (Strine Creekuddy tweens.) and Sergio Aguero 1988 (Futbolista). We have always been great fans of Spandau Ballet and recall all their big hits; songs like To Cut a Long Story Short, Muscle Bound, Instinction and True. Here’s a teaser for you... What was their last top ten single? Let’s move onto grambling matters. How did last week’s bet fare? Better than the week before, that’s for sure. At least we got some dosh back. £2.64. Woo hoo! An actual profit of 24 pees. Hang on, I hear you say, I thought the bet cost £2.20. How come there is only 24 pee profit? Ah, I answer, that’s because I put on an each way bet as well, so that accounted for 70 pees of the winnings. Worth doing, then. Okay Grambler, what have you got for us this week? The selections have been made. All races take place on Saturday the 2nd of June. Let’s see how much we could win in the unlikely event that the results go as predicted. Teaser time. Yay! Last week I asked you who was the most successful manager (after Alex Ferguson) to have won all the domestic trophies. There may have been a few arguments over this one. If you total up all trophies won, the Special One, Jose Mourhino is the next most successful with eight titles - three league titles, one FA Cup and four League Cups. Kenny Dalglish is third with seven titles - four league wins, two FA Cups and one League Cup. However, if you think the League Cup is just a piddling little trophy and isn’t worth considering, then King Kenny is number two, pop pickers. Not arf! Incidentally, only four other managers in the history of the beautiful game have won all three titles - George Graham (2 leagues, 1 FA Cup, 3 League Cups), Bill Nicholson (3-1-2), Don Revie (2-1-1) and Joe Mercer (1-1-2). One for this week? Let’s have a real oldie. 1884, in fact. Queen’s Park were one of the great teams in those days. Not only did they win the Scottish Cup that year, but they were finalists in the FA Cup. This week’s question? What were the unusual circumstances that led to them lifting the Scottish Cup that year? A cracking teaser there, Gromit lad. And finally, Cyril? And finally, Esther, I am indebted to a Mr. J. Speight, the creator of one of the greatest characters in British comedy, Alf Garnett in Till Death Us Do Part, whose right-wing views were supposed to lampoon the typical conservative-voting, little Englander of that period. Unfortunately, many such people lauded Alf as a man who expressed their own ‘sensible’ views and believed that Speight was speaking up for those that believed left-wing politics, immigration and imported goods were dragging their once proud nation downwards, failing to understand that the programme was supposed to be a satire on that very attitude. 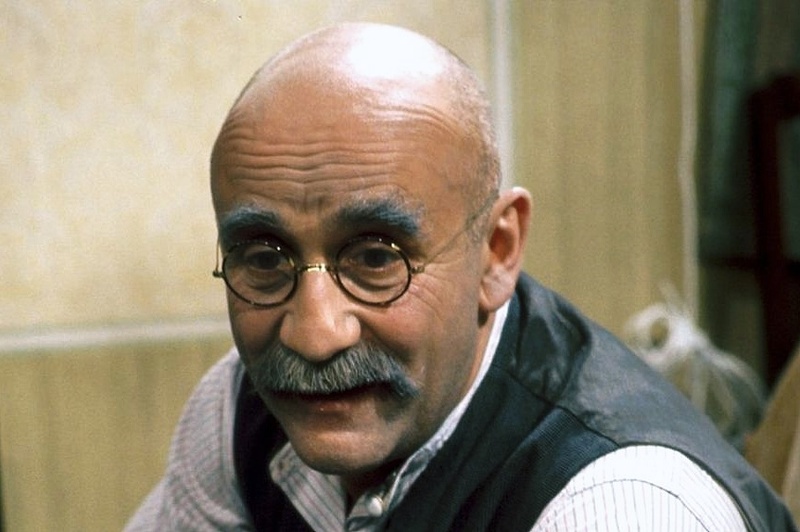 I was going to end this week with a whole episode of Till Death Us Do Part, but realised that in these politically correct times, the colourful language used by Alf Garnett would not be appropriate. Else: I thought we was in Europe. I mean, I thought we always have been. Alf: I know that, yer silly moo. I'm not talking about that aspect am I? I'm talking about the Common Market aspect of the going into Europe. Old Enoch's against it, in't 'e, eh? He don't want no more bloody foreigners over here. We got enough bloody foreigners here as it is. Bloody country's swarming with Eities and Krauts and Froggies and Spagnollies and Brussel Sprouts. All coming over here and taking our jobs off of us, aren't they? Else: Well, we can go over there and take the jobs off of them. Alf: I don't want to go over there, do I?